Time for a career move to the beach? We’re always happy to receive applications from skilled roofers and sheetmetal workers experienced in the fabrication and installation of metal roofing and cladding. 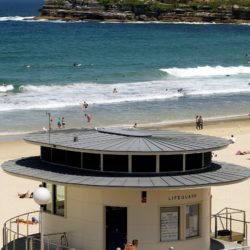 Located in Mona Vale on the northern beaches of Sydney, we’re an established metal roofing and cladding company with our own fabrication facility. Our expertise is with standing seam and other profiles for roofing and wall cladding using prestige metals: copper, titanium zinc, stainless steel, aluminium, Colorbond® and Zincalume®. We also fabricate, supply and install rainwater systems and other metal interior and exterior design products.